Note: USD165 is the price of the host, does not include probe. 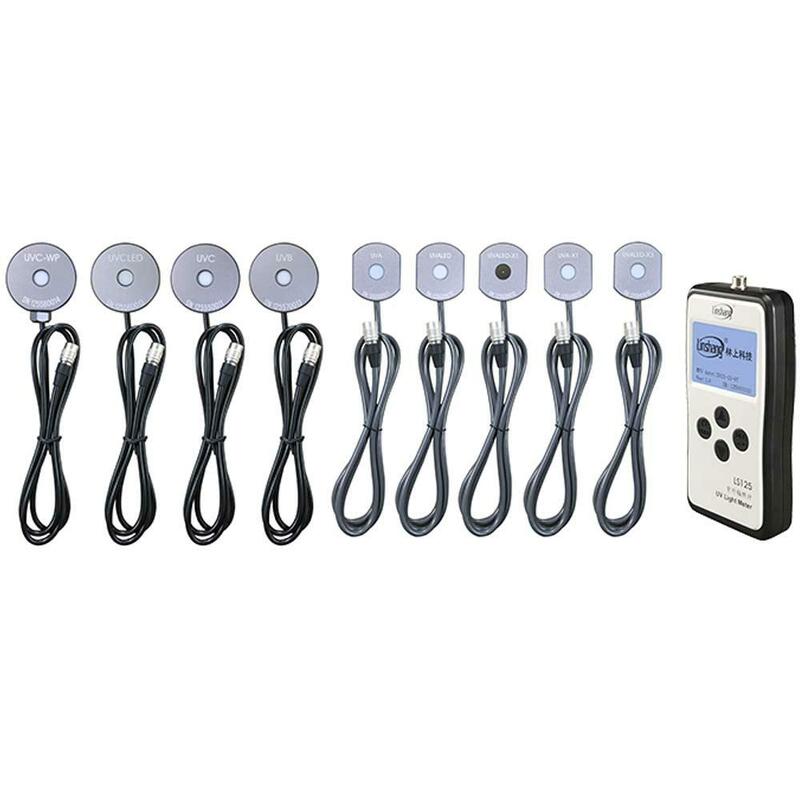 Buy Host of LS125 UV Light Meter, should buy at least one of 9 Probes. 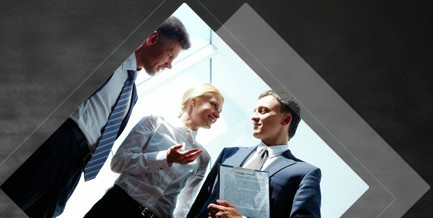 What probe do you need to configure, please contact us to modify the price. 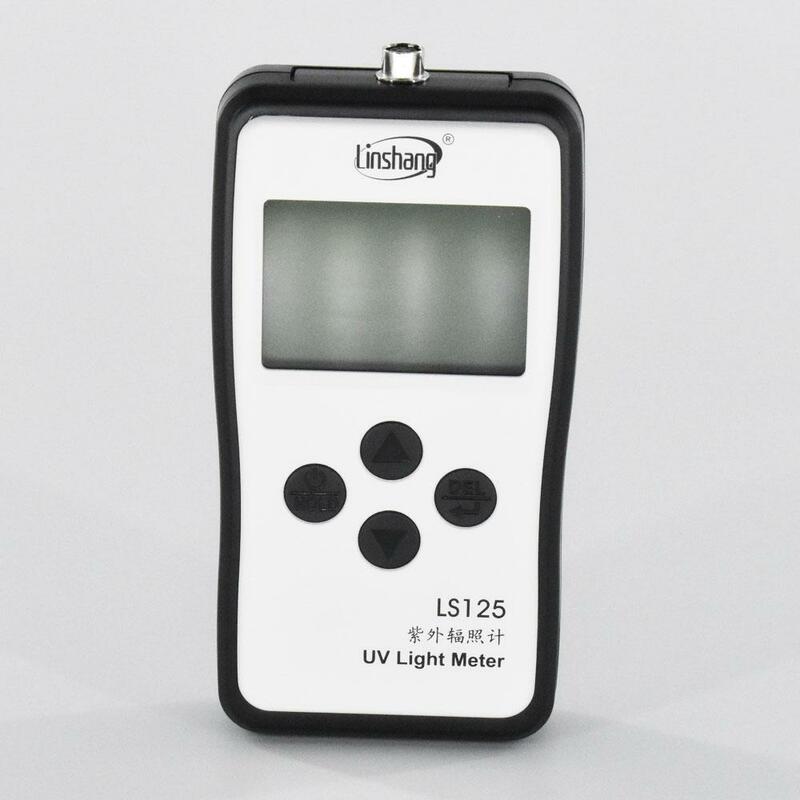 LS125 can support 9 kinds of UV probes according to different ultraviolet spectrum, measuring range, test hole diameter and application industry. Probe connection Push pull (Snap-in style)，Aviation socket. 3. 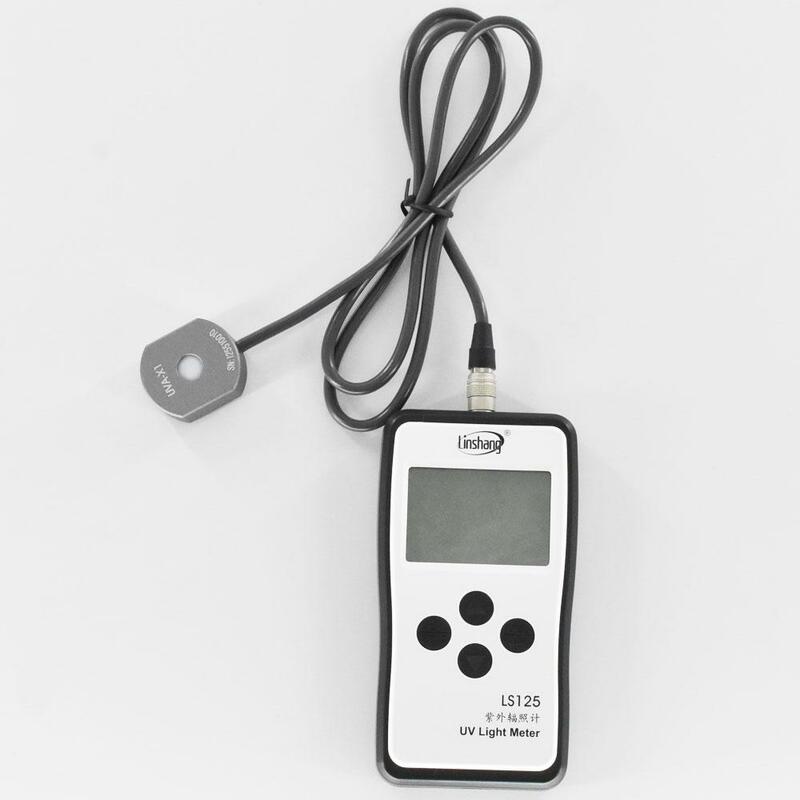 Instrument intelligent recognize probe type and adjust the display interface intelligently. 4. 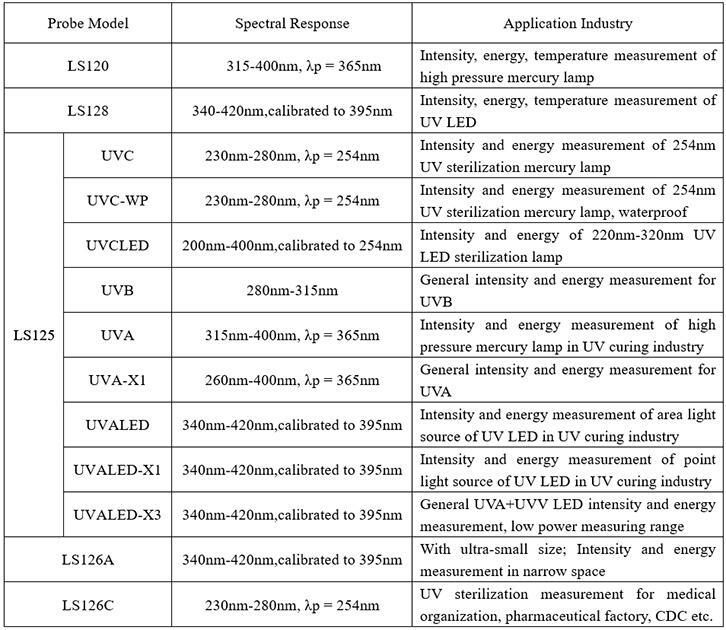 A variety of spectral range, measuring range, test hole size of the probe to adapt to different application industries. 5. For LED point light source, 1mm test hole can make it more convenient to measure. 6. Statistical functions, real-time value, maximum value, minimum value, average value, time, energy values are displayed at the same time. 1. When not in use, please power off the instrument. 2. Avoid contacting with corrosive materials and keep away from high humidity. 3. After shutdown, store it in a special packing box and keep it in a safe place. Protect the photosensitive part of the probe from polluting. 4. The recommended period of calibration is one year. 5. 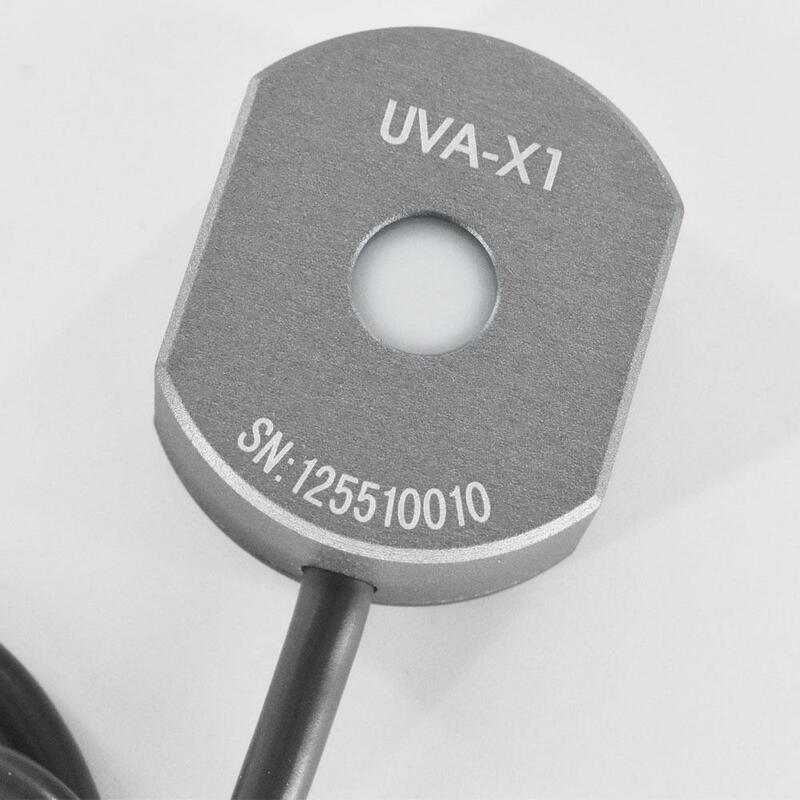 Because the UV probe is sensitive to humidity changes, the environment in which it is stored is important. 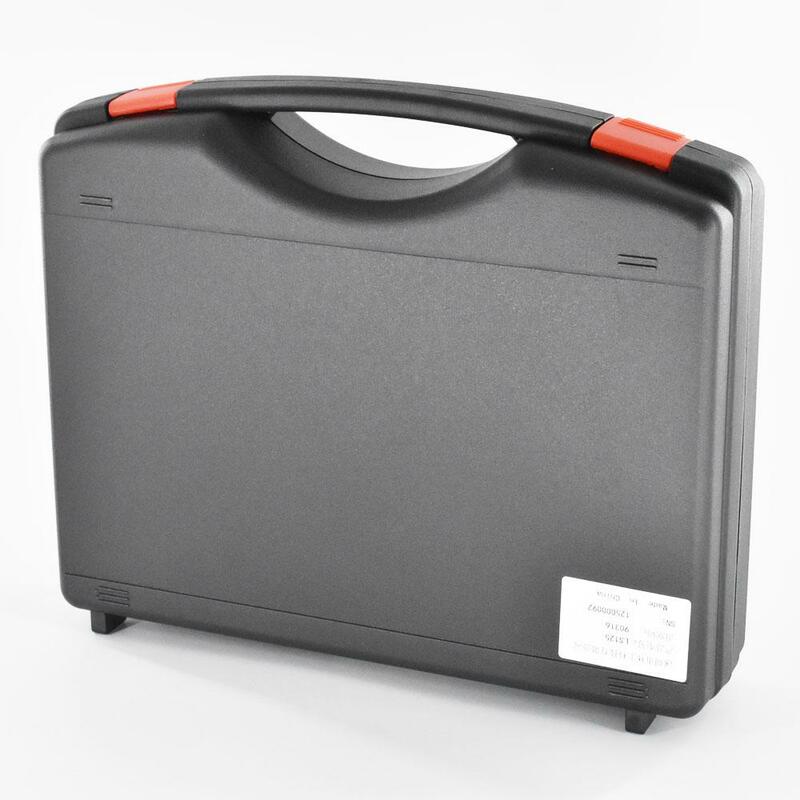 When not in use for a long time, be sure to store the instrument in a low humidity environment. 6. When the instrument displays low battery, replace the battery.